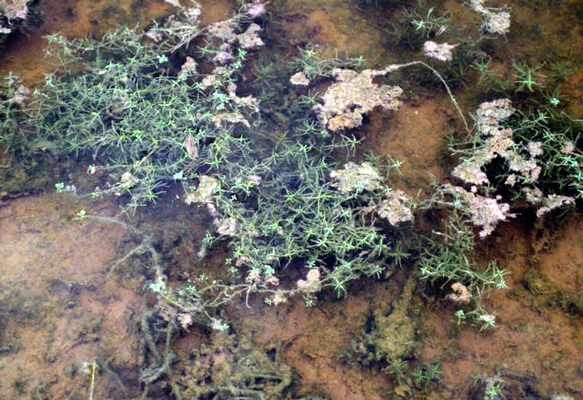 Annual aquatic weeds that are primarily submersed but have some floating and emersed leaves. 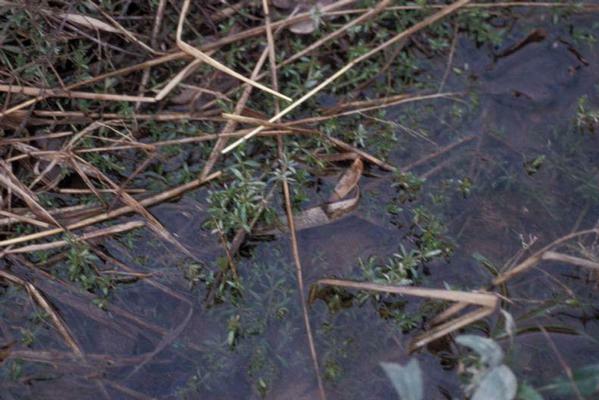 These weeds primarily occur where there is little to no movement of water as in ditches, swamps, streams, and lakes. All parts of these plants are eaten by ducks. Submersed leaves are linear in outline and approximately 6 mm wide and 1/2 to 1 inch long. 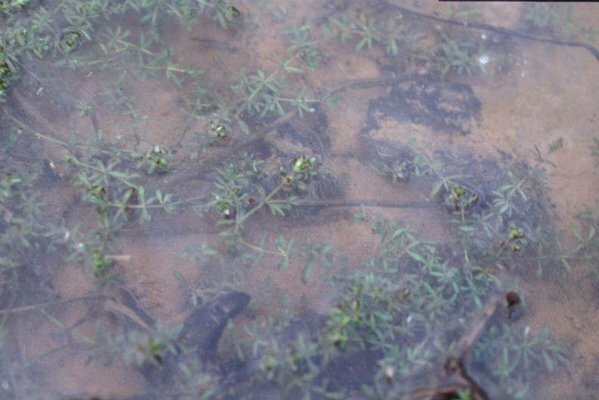 The submersed leaves are much different from either the floating or emersed leaves. 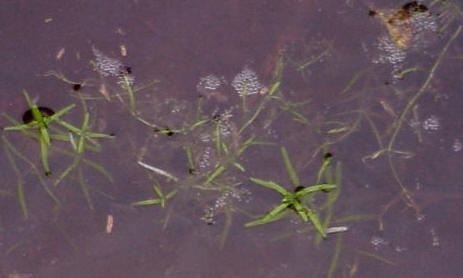 Floating and emersed leaves are either crowded in a rosette-type growth habit or arranged oppositely from one another. Floating and emersed leaves are approximately 1/4 to 1/2 inch long. Occur in the areas between the leaves and the stem (leaf axils). Flowers are very small and inconspicuous, with no sepals or petals. Heart-shaped, approximately 1 mm wide, and splitting into 4 nutlets with maturity. 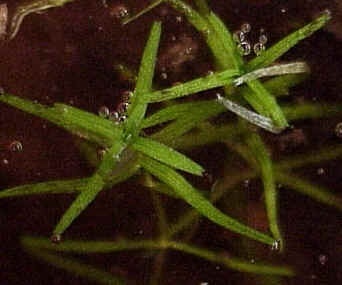 Annual aquatic weed that can occur with three different leaf forms: submersed, floating, and emersed. 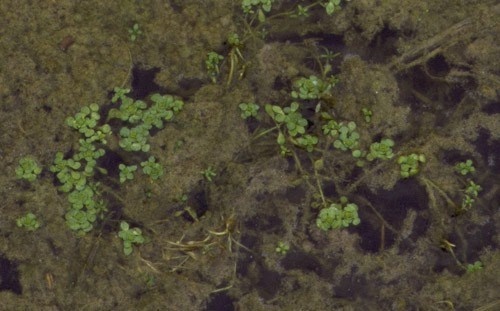 The opposite, floating leaves of this plant may resemble some other small aquatic weeds like Creeping Primrose (Ludwigia palustris), but the lack of evident flowers on water-starwort helps to distinguish this plant from almost all other aquatic weeds.